(IPS) – Production here has skyrocketed so fast that for now the installations of the YPF oil company at the Loma Campana deposit in southwest Argentina are a jumble of interconnected shipping containers. Argentina is staking its bets on unconventional oil and gas resources, and the race to achieve energy self-sufficiency and surplus fuel for export can’t wait for the comfort of a real office. Since last year, Loma Campana, some 100 km from the city of Neuquén, has been the Argentine oil company’s operating base, where 15 to 20 wells are drilled every month in the Vaca Muerta shale oil and gas field in the Neuquén basin. There are currently more than 300 wells producing unconventional gas and oil here and in other oil camps in this part of Argentina’s southern Patagonia region. Some 250 are operated by YPF and the rest by foreign oil companies. The final installations, with offices and a control and remote operation room, will be ready by mid-2015. But work at the wells is moving ahead at a different pace. From January 2013 to mid-2014, daily oil output climbed from 3,000 to 12,000 barrels per day, before jumping to 21,000 in September. “Loma Campana is the only large-scale commercial development [of shale oil and gas] outside of the United States. The rest are just trials,” said Bizzotto, explaining the magnitude of the operations in Vaca Muerta, which contains shale oil and gas reserves at depths of up to 3,000 metres. Unlike conventional oil and gas extracted from deposits where they have been trapped for millions of years, shale oil and gas are removed from deep parent-rock formations. According to YPF, which has been assigned 12,000 sq km of the 30,000 sq km in Vaca Muerta, the recoverable potential is 802 billion cubic feet of gas and 27 billion barrels of oil. With that potential, the country now has 30 times more unconventional gas and nine times more unconventional oil than traditional reserves. Thanks to recoverable shale resources, Argentina now has the world’s second largest gas reserves, after China, and the fourth largest of oil, after Russia, the United States and China, according to YPF figures. Bizzotto said that in terms of both quantity and quality, as measured by variables of organic matter, thickness and reservoir pressure, the reserves are comparable to the best wells in the Eagle Ford Shale in the U.S. state of Texas. This is encouraging for a country like Argentina, whose reserves and production had declined to the point where over 15 billion dollars in fuel had to be imported. 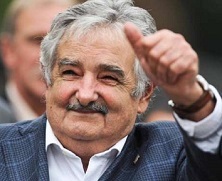 “The possibility of converting these resources into reserves means that Argentina could have gas and oil for more than 100 years,” Etcheverry, who is also a former Neuquén energy secretary, told IPS. But the challenge is just that: turning the shale resources into actual reserves. Since 2013, YPF has invested some two billion dollars in Vaca Muerta. But because of the magnitude of the resources and the country’s difficulties in obtaining financing from abroad, Etcheverry said “new actors are needed” in order to achieve the required volumes of investment, which he estimates at 100 billion dollars over the next five or six years. YPF, which was renationalised in 2012, when it was expropriated from Spain’s Repsol oil company that controlled it since 1999, is now looking for foreign partners – a strategy that some political and social sectors see as undermining national sovereignty. In Loma Campana, YPF operates one portion with the U.S. oil giant Chevron and is developing another shale gas field with the U.S. Dow Chemical. Other companies involved in the area are Petronas from Malaysia, France’s Total, the U.S.-based ExxonMobil, the British-Dutch Shell, and Germany’s Wintershall, while negotiations are underway with companies from other countries, including China and Russia. According to provincial lawmaker Raúl Dobrusín of the opposition Unión Popular party of Neuquén, the oil companies are waiting for the Senate to approve a controversial new law on hydrocarbons. The legislation would grant 35-year concessions, reduce the tariffs the companies pay for imports, and allow them to transfer 20 percent of the profits abroad, and if they do not do so they would be paid locally at international values and without tax withholding, Dobrusín said. The development of unconventional fossil fuels has also run into criticism from environmentalists. Hydraulic fracturing or “fracking” is the technique used for large-scale extraction of unonventional fossil fuels trapped in rocks, like shale gas. To release the natural gas and oil, huge volumes of water containing toxic chemicals are pumped underground at high pressure, fracturing the shale. The process generates large amounts of waste liquids containing dissolved chemicals and other pollutants that require treatment before disposal. Environmentalists say fracking pollutes aquifers and releases more toxic gases than the extraction of conventional fossil fuels. “There is no doubt that it causes pollution. Wells are abandoned without being cleaned up. Here in Plottier the water contains heavy metals and isn’t potable in most places, and we blame that on conventional production that has polluted the groundwater,” Darío Torchio, who has a business in Plottier, a city of 32,000 located 15 km from Neuquén, told IPS. “Oil is a heavy inheritance for our descendants, which ruins everything, while the wealth goes to the companies,” said Torchio, a member of the Permanent Comahue Assembly for Water. Silvia Leanza, with the environmental Ecosur Foundation, said Argentina is opting for a development model based on “neoextractivism”. “The focus is on the exploitation of a non-renewable resource, fossil fuels, which also has an economic impact, because that money could go towards clean energy sources that could also be developed in Patagonia,” Carolina García, an activist with the Multisectorial contra el Fracking group, told IPS. But the government of Cristina Fernández has no doubts about the model of development being followed. “When unconventional gas and oil production in Vaca Muerta reaches 1,000 wells, the gross geographical product will tend to grow between 75 and 100 percent in the province of Neuquén. That will have a three to four percent impact on the country’s gross domestic product,” argued the head of the cabinet, Jorge Capitanich.